Are you ready to overcome your weight loss struggle once and for all? Are you tired of feeling frustrated with your body, blaming yourself for not losing weight and self conscious about the way you look? Have you tried all the fad diets, pills, starvation and other drastic measures in the hope that they would work? Are you ready for a solution that is free of fads, slick marketing and takes the Whole of You into account… your emotional and physical self? Would you like know how you can overcome and finally free yourself from food cravings? Are you tired of being tired cranky and bloated all of the time? Would you like to feel slim, energetic, alert and relaxed? Are you looking for one person who understands how the body works as well as our thinking works, and can offer you an integrated self empowering sustainable weightloss program? Are you looking for a healthy weight loss program that works on all levels without deprivation? If that sounds like you, keep reading because what’s on this page may very well change your life. As an experienced practitioner who is dedicated to creating Vibrant Health and Radiant Wellbeing, I am frustrated by faddish diets, slick marketing and misinformation about foods and weight loss that abound in today’s media. The health consequences of repeated quick-fix dieting are numerous and generally result in an individual regaining even more weight, with all the accompanying emotional misery that that causes. 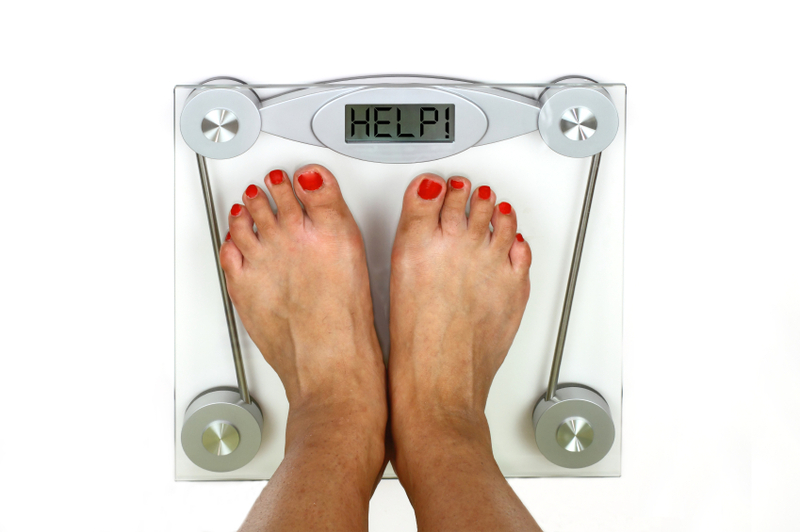 damaging physical and emotional effects that this yo-yo dieting causes. These syndromes affect not only your own physical and emotional wellbeing, but that of your family as well. When you are always frustrated with your weight, constantly critical of yourself, tied and bloated, no matter how hard you try to hide it, this is felt by all of your family and loved ones. Discover how you can Nurture Yourself Slim , be the size and weight that you really want to be, and experience vibrant health radiant emotional wellbeing and happiness. are frustrated that the only advice you receive on how to stop emotional eating is simplistic suggestions such as to go for a walk, keep chocolate out of the house or distract yourself; yet, you know that your urge to eat is so much deeper than that. Sound familiar? What if there were a different way? If body image and re-occurring weight gain issues are bothering you, I offer wholistic nutritionally sound, health promoting sustainable weight loss success programs, and Stress Relief and Weight-loss success coaching, that addresses the complex body/mind emotional Mind/Body and Nutritional factors involved in this dilemma. Experience improved self-esteem, confidence and inner harmony. Learning to nurture you at all levels and taking care of yourself first, is the key to establishing a personal healthy weight range and achieving sustainable weight loss success. an easy healthy fun relationship with yourself and food. to be able to feel free of constantly obsessing about your weight and food. making peace with yourself, taming of sugar cravings, increased energy, improved digestive health and immune function. This program is specifically designed to provide you with the knowledge, support and understanding of all of the crucial factors affecting weight gain. This information is so frequently missing from most traditional weight loss programs. To understand this further, read The Complex Nature of Obesity and Why Dieting and Deprivation Make You Fat. Have you been forgetting to include the most important Piece of the Weightloss Success puzzle in your weight loss efforts? All too often the most important organ that needs to be involved for weightloss success is totally ignored in most quick weight-loss diet programs. That organ is your brain. Your mindset, low self-esteem and constant critical self talk are actually stopping you from reaching your weightloss goal. Constantly putting yourself down, belittling yourself and trying to impose more discipline because you have been “bad” is often exactly what is keeping you overweight and unhappy. Exploring subconscious sabotaging beliefs is a significant and crucial part of any successful sustainable weight loss approach. (Don’t worry this can be easier and more fun than you might ever imagine.) . The keys to sustainable weight loss success, improved health and emotional wellbeing are found by developing an awareness of your emotional “hunger triggers” and understanding the roles of your subconscious “sabotaging” beliefs, combined with great nutrition and fun activity. Individual and Group Sustainable Weightloss Success Programs are available. To achieve your sustainable and lasting weight-loss success goals, you can either choose to work with me privately, in a group, or in a combination of group and individual sessions. Most importantly it will provide resources and strategies designed to support you in reaching your goals. You benefit in a powerful, transformative experience that’s magnified by the numbers of the group. are designed to empower you through greater knowledge, increased personal understanding and easy-to-learn strategies for empowering mindset changes. Participating in a group can be supportive and empowering. It is an excellent platform for having your questions answered, discovering that your “issues” are similar to the issues of others and for experiencing the benefit of group support in your efforts to regain a health weight, the size that you feel best at. Group work is also a cost-effective way to begin to take meaningful steps toward making the change you seek. Personally examining and understanding all of the possible underlying physical and emotional causes of your re-occurring weight gain issues. All the points covered in the group program that apply to you will be covered in great detail and a personalised solution to your underlying health needs offered. Deeply exploring, understanding and releasing all of your personal self- sabotaging beliefs that are getting in the way of you achieving lasting weightloss success. Have a weight loss program that is personally tailored to your emotional and physical needs. the influence of the hormonal system. If you would like to know more about my qualifications and the processes that I use, please check out Qualifications and Techniques. The following programs are available to help you begin your weight loss journey: “Sustainable Weight Loss” and “Stop Emotional Eating”. During this time we can establish what it is you are really looking for, how my work is different from a standard “quick weightloss diet” approach and whether working with me feels right for you. So if you are looking to transform your self esteem, understand why keeping the excess weight off has been so hard in the past and know how you can reclaim the body that you want, then click this link, arrange for a no obligation, no cost 20 minute chat, and start to set yourself free from low self esteem, and re-occurring weight gain issues. I am committed to fully supporting you to feel really good about yourself, be gentle and nurture yourself, have great health and energy, as you reach your weightloss goals.